“I’ll finish my assignment later since the deadline is pretty far away.” “I’ll start my diet tomorrow instead.” “I’ll clean the house next week since I’m too busy now.” Don’t these statements seem all too familiar to you? Procrastination is derived from the Latin verb procrastinare, which is the term used to delay something until another time. According to Joseph R. Ferrari, author of the book Procrastination and Task Avoidance: Theory, Research, and Treatment, this term is commonly used in Latin texts especially about the military force of the Romans. The problem is that we seem to have taken the term and used it even when it is unnecessary and unwise. We often procrastinate to escape the things we don’t like or don’t want to do. As a result of this kind of behaviour, it causes us even more stress. When we procrastinate, laziness creeps in and then last minute work happens. This is when we usually get yelled at for poor quality work because it isn’t our best. We could have done better but procrastination prevents us from doing so. The question is why do we procrastinate, especially at a young age? We know there are consequences in postponing our tasks, but why do we still do it? Parents can be a major factor in procrastinating. When a father doesn’t want to see the doctor sooner or a mother is postponing her chores, a child will also follow in these footsteps. This attitude of avoiding completing tasks the soonest, can be picked up at a very tender age. According to Dr Bruce Liese who is a psychologist, children may develop procrastination when they have “over-functioning parents” or in simple terms, parents who do everything for their children. This discourages independence and self-control in their children. We may procrastinate in doing our chores around the house when our mother always does them for us. Even with a simple task like washing the dishes, we avoid it because we know our mother will do it in the end. 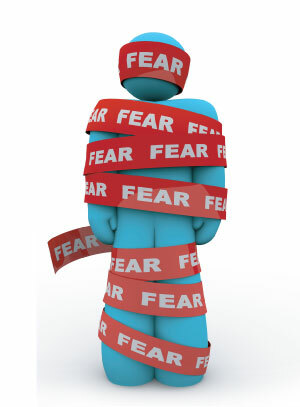 As stated in a 2013 Forbes article by Margie Warrell, “fear is a powerful emotion that can keep us mired in excuses”. It’s pretty hard to admit it even to ourselves but we all are afraid of failure. We are afraid of the aftermath once we succeed or the rejection of our ideas. When we get rejected, we are also afraid of losing face. For example, we are afraid of failing our parents when we receive our exam results. We fear not meeting their high expectations. Even if we excel the first time, will we be able to keep it up? For those who are perfectionists, your procrastination is due to the fear of not knowing the outcome of something. The result may not be as perfect as you want it to be so, it isn’t acceptable to you. “I know I can’t do it.” “I know I can’t finish this in time.” “Why do I even bother?” This demotivating attitude causes us to procrastinate. At times, we think we can’t accomplish a task because it seems impossible to us. So we don’t even try and just avoid it. As youths, we easily get demotivated when the task we have to do is either uninteresting or complicated. We lose the drive to achieve our goals so we start to become lazy and procrastinate. We don’t finish our assignments because the topics are boring or don’t even start on them because we don’t know how to. There is always that lack of motivation to study as well. We’ve got this mind set of having “far better things to do” rather than studying. We leave it to the very last minute until there is unfinished work or worst still, we come unprepared for exams. How then can we stop procrastinating? Procrastination brings more bad than good. How can we prevent procrastination from taking over our lives and start taking action? Our parents will only be there in our lives for a certain period of time. Stop letting them spoon-feed you! As you grow older, more things need to be done on your own from paying the bills to meeting deadlines at work. Procrastination won’t get you that far. If your parents procrastinate, you don’t have to follow them too. Set a better example. Step out of your comfort zone and be more willing to achieve greater things. According to author Marc Chernoff, we have to “stare it down” in order to conquer it. “Connect to your fear, feel it in your body, realise it and steadily address it,” he writes. Defeat it by harnessing it. Be brave and build that courageous momentum. Replace your fears with boldness and fill them with “I can” instead of “I can’t”. Fear doesn’t easily go away but one step at a time can help you get through it. Also, stop trying so hard and lower down your expectations! Since everyone makes mistakes, embrace them. If you get rejected because of your work or even the person you’ve been crushing on, it’s alright. You’ll survive; it’s not the end of the world. Learn from all your failures. Find something or someone that can inspire you. It could be a blog, a family member, a friend or someone you know who can be your mentor. Talk to someone who motivates you to do more or be more than you are now. According to Celestine Chua, the founder of Personal Excellence, our behaviours are influenced by the people we mix with. “Identify the people/friends/colleagues who trigger you – most likely the go-getters and hard workers – and hang out with them more often,” she writes. Through this, we can catch their spirit, and it can drive us to carry out the tasks we need to do. Procrastination is a habit that can go away. It is not permanent unless you make it to be. When you start procrastinating, you have the power to stop too. Keep going forward and break out from your laziness and excuses. Start completing assignments sooner rather than later to ease the burden of last minute work. Be an overcomer not a procrastinator! Zara Jayne is a passionate university student who believes we can be more when we decide to procrastinate less! You can contact her at editor@leaderonomics.com. Click here for more articles.